These updates while extremely helpful will not substantial change the system's interface so there's no "training" required. We just want to make sure you know these features are now available to you. There is nothing you need to do to receive these improvements and they are all included. The project catalog now includes a date filter for project needs. 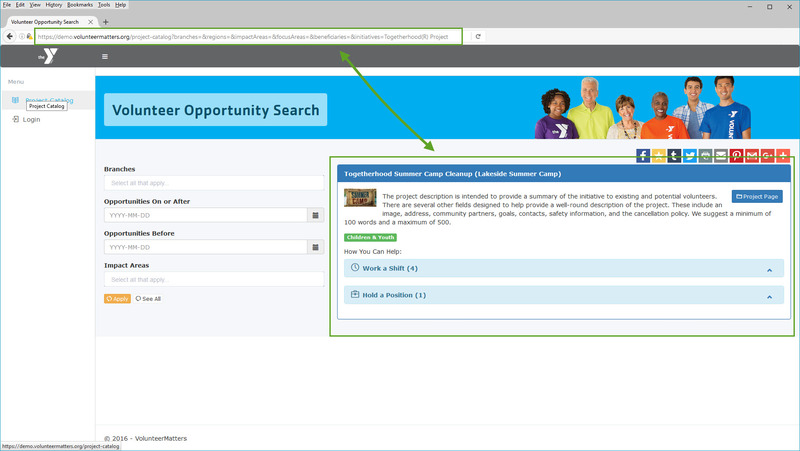 This filter will only return projects where the project needs that are within the date(s) specified using the "Opportunities On or After" and/or "Opportunities Before" fields. Shifts : The date filter will take into account both the start date of the shift and if it roles into a second day, the end date of the shift. So if a shift starts at 9pm on 8/5/16 and ends at 1am on 8/6/2016. 8/5/16 and 8/6/16 would both be the dates the system would filter on for that specific shift. Items: The date filtered on is the date the item is needed by. Tasks: The date filtered on is the date the task is due by. Positions: The date filter will take into account both the position's start date and the position's end date. So if a position starts on 8/1/16 and ends on 9/1/2016. Any date filtered on between and including those dates would be returned. For example if you entered a date filter of "Opportunities On or After" of 7/4/16 and "Opportunities Before" of 8/5/2016, it would be successfully returned. The volunteer would then need to take into account the actual duration of the position. 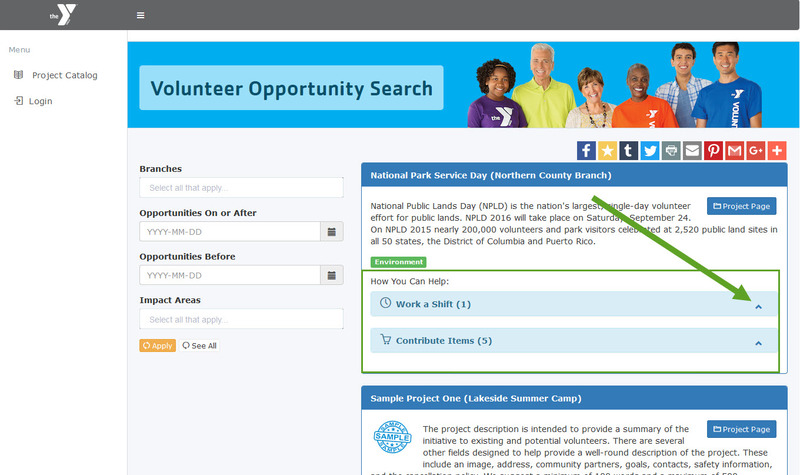 One of the great new features of this release is that the ability for VolunteerMatters Support to provide you with a customized project catalog URL that can include predetermined search parameters. For example if you wanted a link from your website that would always include projects configured with the "Togetherhood(R) Project" national initiative this could provide that. Please contact support to provide the URL desired. Note: If you have a URL created this will necessitate additional filters visible on the project catalog. The project catalog now has the different needs minimized by default. This displays the individual projects more prominently and allows the volunteer to easily scroll down and view more projects at once. The volunteer can then expand those needs they wish to view in more detail. The project pages themselves, the needs are expanded by default. Aside from providing some great new project catalog functionality and accessibility, there is no major impact on your daily use of other VolunteerMatters functions.